I’ve gotten more than a little obsessed with reading my way through all of Sarah Dessen’s novels. This week, I’m not going to give you the choices. You can choose male characters. You can choose female characters. Heck, if you want to you can choose parents. Just let me know in the comments who you would marry, who you would date, and who you would dump. 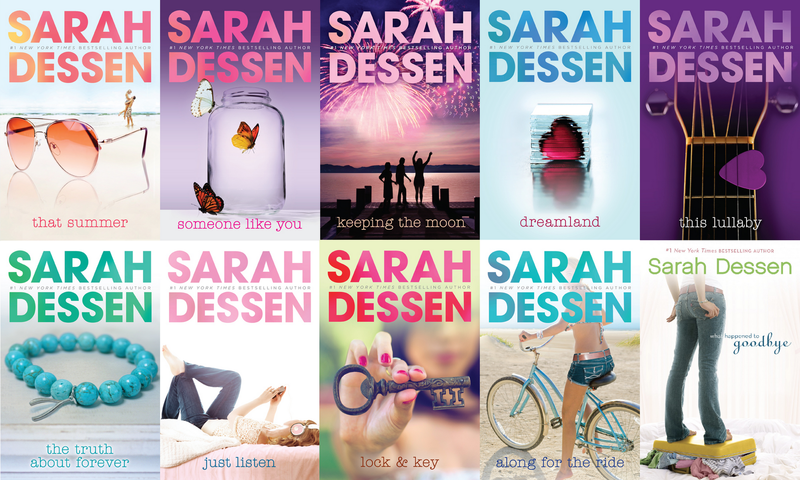 Have you read any of Sarah Dessen’s books? What did you think? This entry was posted in Marry Date or Dump and tagged books, Sarah Dessen, YA Books, YA romance, young adult by Alison Doherty. Bookmark the permalink. Dump – The guy from Somone Like You whose name I can’t remember. Oh I loved Dexter in This Lullaby. I haven’t read Just Listen yet, but since you like Owen so much I’m going to have to get on that! I would start with The Truth About Whatever or Along for the Ride. Those have been my favorites so far. I think similarly to you I would marry Wes from The Truth About Forever, date the dude from Just Listen (I know it’s terrible, I can’t remember his name), and dump either Rogerson or the guy from Lock and Key who was less swoon worthey than Dessen’s other characters! Hi Becky. Thanks for commenting! It’s nice to see another Wes fan on the blog. He is definitely the most swoon-worthy of Dessen’s characters in the books I’ve read thus far.